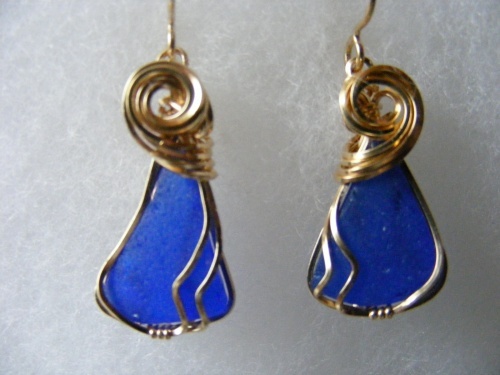 These petite cobalt blue earrings, are wrapped in gold filled swirls. Cute, while elegant, they will really show up with any color hair. Measure 1" not including ear wires.